Idiots! That’s what we call people who have not yet seen Napoleon Dynamite. For those who love tater tots, tetherball, and building cakes for special ladies, you are cooler than the other side of the pillow. 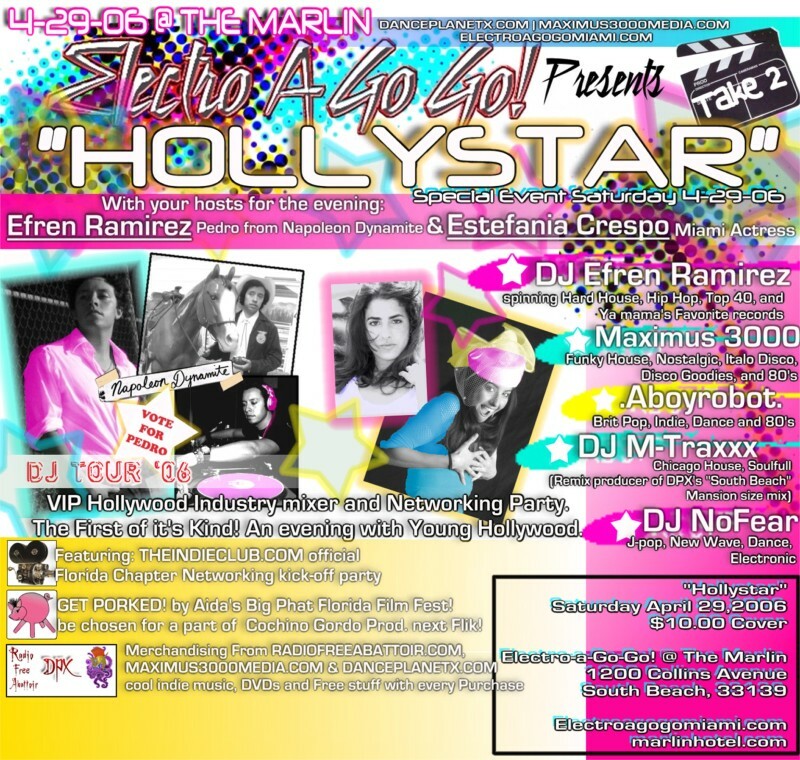 But even if you didn’t vote for Pedro, you are still welcome to come out and party with DJ Efren Ramirez and Estefania Crespo at tonight’s Electro A Go-Go “Hollystar” event at the Marlin (1200 Collins Ave., Miami Beach). “It’s all about the music and having a good time,” says Ramirez, who’s been spinning for about five years. “When I’m not filming, I’m DJing.” Don’t worry; he won’t get mad if you accidentally call him Pedro. “People associate me with Pedro because that’s all they’ve seen me in so far,” Ramirez says as he’s munching a chimichanga. “I don’t mind because it’s just the beginning of everything else in my career.” Ramirez likes to cater to the crowd when he spins, so expect to hear a nice mix of house, hip-hop, and good ’80s tunes, like When in Rome’s “The Promise.” Still not convinced that this is going to be a fabulous party? “Dance with me and all of your wildest dreams will come true,” Ramirez promises. Get ready to shake it all night long and do some shots with “Pedro” from 9 p.m. to 5 a.m. Admission costs $10. 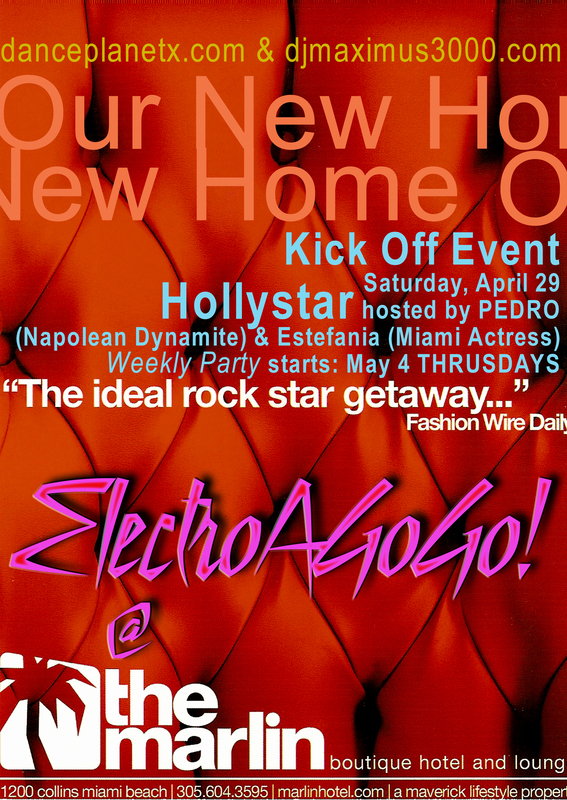 Call 305-205-2217, or visit www.electroagogomiami.com. Sat., April 29. 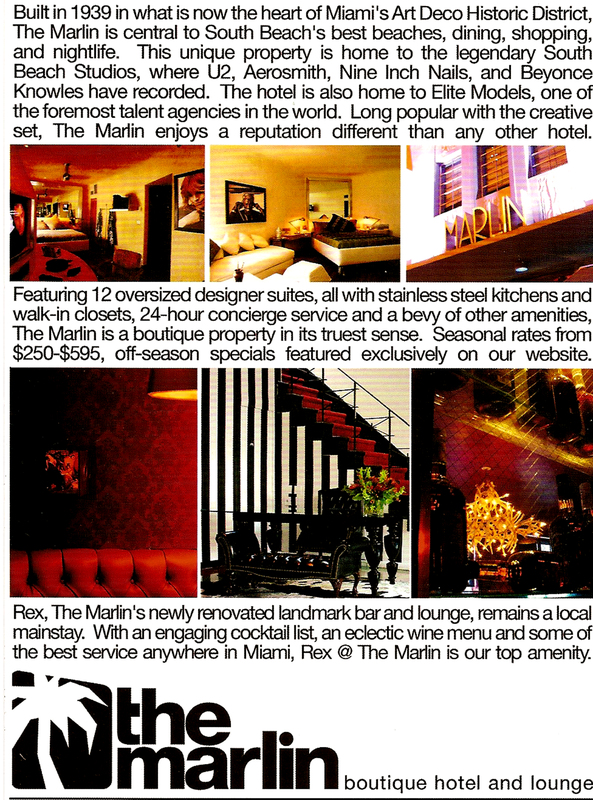 Marlin Hotel, 1200 Collins Ave, Miami Beach.